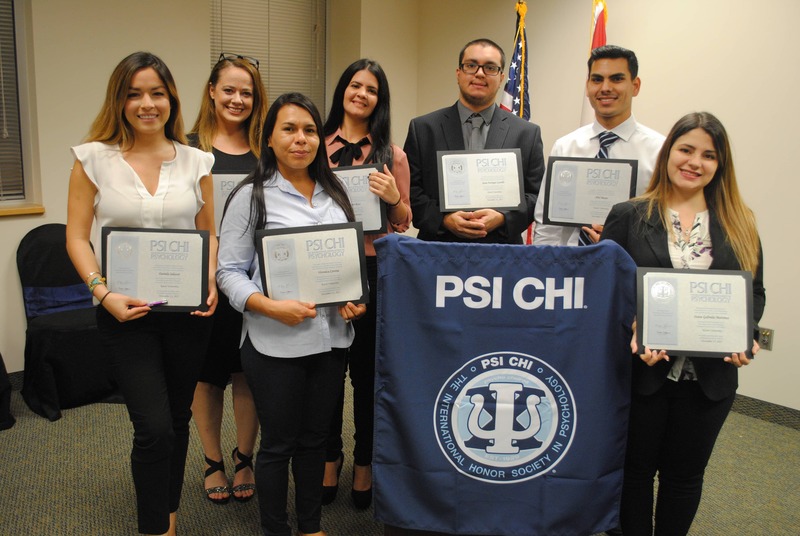 The Miami Campus held its first Psi Chi (The National Honor Society in Psychology) induction recently. Psi Chi “is an international Honor Society in Psychology that encourages, stimulates, and maintains excellence in scholarship, and aims to advance the field of Psychology.” Inductee’s, family, friends, and school administrators gathered to recognize and celebrate top undergraduate and graduate students, as well as alumni outstanding achievement. Student’s received a certificate and pen. Congratulations to the New Psi Chi Inductees!